Viral fusion proteins need to be activated in order to function at the right moment in the virus cycle. The trigger can be receptor/co-receptor binding, leading to fusion at the plasma membrane, or endosomal low pH-dependent activation,leading to fusion in the endosome. 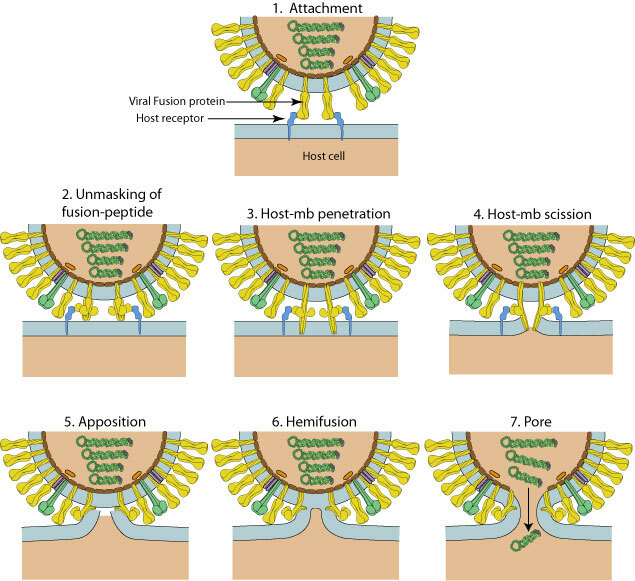 Since HBV is entering the cell through caveolae endocytosis, the second mecanism is probable. All known viral fusion proteins are active in the form of a trimer, we can expect HBV Surface proteins to do the same.